Becoming a landlord can be a great way to earn passive income and save for the future. And whether you became a landlord accidentally (through inheritance or a simple need to create income with an extra property) or have purchased a property with renting in mind, every landlord has to start somewhere. 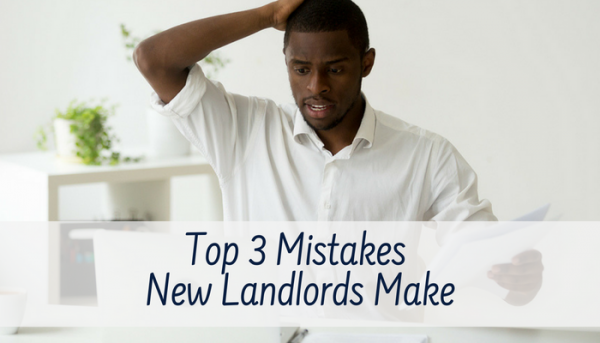 Learning the basics can be full of trial-and-error, and these three mistakes new landlords make are by far the most common. A lot of landlords find success in self-managing their rental properties. With most property management companies charging between 7-10% of monthly rental income, it makes sense to self-manage and keeps operating costs down in order to improve profits. 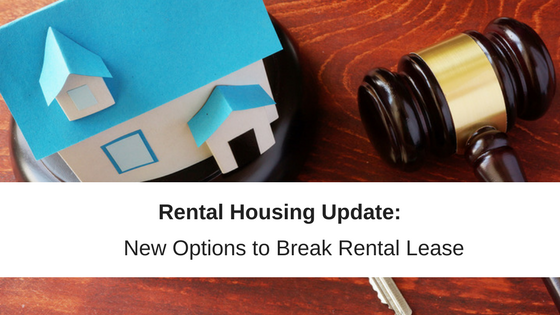 For a new landlord, staying on top of rental management can seem a tad overwhelming, especially if you are trying to do it all on your own. Just because you aren’t using a property manager, doesn’t mean you shouldn’t ask for help and outsource whenever possible. There are tons of resources out there to help make your real estate ventures less stressful and more successful. The Internet has a wealth of (free) information written for landlords, investors, and those considering renting out a property. Check out REtipster for a list of Today’s Best Real Estate Blogs by Seth Williams. You’ll find all you need to know about rental laws, leasing, marketing, tenant screening, maintenance, and how to handle tenant drama. There are also lots of local and professional organizations for landlords. You can join your local landlord association or check out MeetUp.com for a local investor group. Meetup groups will be less formal and less expensive and are a great place to meet like-minded individuals investing in your local market. Another way to outsource your landlord duties to find a team of trusted vendors to help you with your rental tasks. These vendors can include landscapers, plumbers, or other maintenance personnel you can call when you a tenant reports a maintenance issue. Rental software will help you stay organized and making self-management that much easier, especially when it comes to tax season. Property management software is the best tool you can have to track your rental income and expenses, organize your tenants, stay on top of incoming rent payments, and manage renter communication. Software design for landlords also provides everything you need to market your rental properties, screen your tenants, and collect rental applications online. One of the most important aspects of successful rental management is tenant screening. Your job as a new landlord is to find the most qualified renter for your property, one who will pay rent on time, respect the lease terms, and maintain the property. 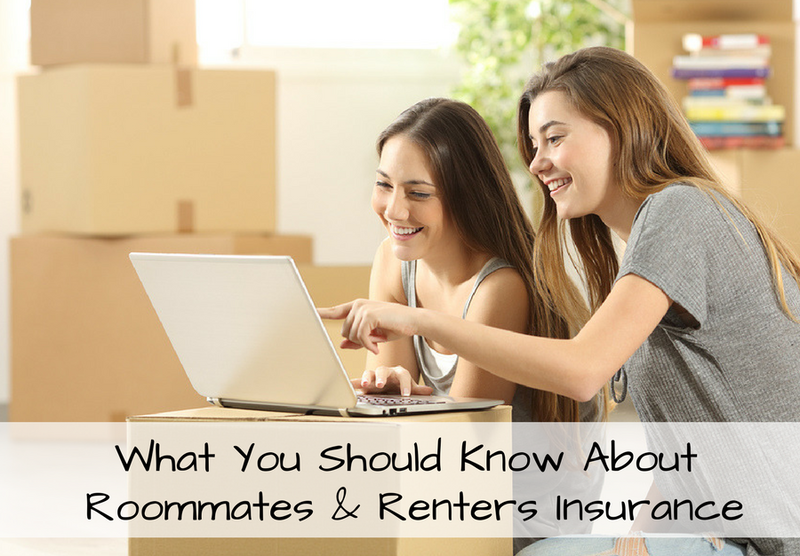 When you first set out to find your first renter, it might seem a little overwhelming determining which applicant will be the best. You might be thinking, everyone seems so nice and seems like they will be great. Awareness of, and compliance with, Fair Housing laws, as well as any local or state regulations, is essential to your success in property management. The best way to find great tenants and avoid discrimination lawsuits is to create a set of written tenant screening criteria that are objective and legally appropriate. Additionally, you need to apply your screening criteria equally to all applicants. The Fair Housing Act sets specific rules about providing equal opportunity housing to all rental applicants and expressly forbids discrimination based on a protected class, like race, gender, familial status, sexual orientation. Learn more here- 10 Landlord-Tenant Laws to Remember. Based on those standards, landlords and property managers are legally allowed to require an applicant to provide proof of identity, verify employment and income, and review an applicant’s rental history, credit history, and criminal background in order to find the most qualified tenant. As long as you create standard screening criteria based on the information above, and apply the same criteria to every applicant, you should find yourself in compliance with Fair Housing laws. Tenant screening laws also dictate which information in consumers reports can and cannot be used for tenant screening and how a landlord can access these reports. It’s an unfortunate reality that some people will be dishonest when trying to rent an apartment. The only way to find a qualified tenant for your rental property is to review tenant screening reports. Credit report: You can review an applicant’s financial responsibility, as demonstrated in their credit score. You can also consider unpaid debts which can impact how much available income they will have to pay their rent. Criminal Report: The criminal background report will reveal if the rental applicant has been convicted of a dangerous crime. You are legally allowed to deny a rental applicant if he has a criminal background that would put you, your property, other tenants, or the neighborhood in danger. Make sure to be familiar with your state’s laws about what information on a rental applicants criminal report you are legally allowed to use in your screening decision. For instance, it is illegal to use arrest records when making a rental decision. Eviction History: The eviction history report will reveal any evictions that are on your applicant’s public record. Evictions are extremely expensive for a landlord and must be avoided at all costs. You can deny a rental applicant for having a past eviction on his record. For one reason or another, some renters try to lie on their rental application. Your best bet is to look at tenant screening reports. While it can be difficult to figure out whether or not an applicant is lying, it’s not impossible. Beyond the obvious fibs, applicants that provide fake references and pay stubs can be difficult to detect when companies profit from their success. Here’s your guide to some common renter lies and how you can catch them – How To Catch Renters Lying on Their Rental Application. One of the benefits (perhaps the biggest benefit) of owning rental property is the income generating potential of the investment. Some new landlords will look at the numbers and assume that as long as the rental price is more than the mortgage, they will have a profitable investment on their hands. There are several other factors, however, that go into the budget of a rental income, which will affect your bottom line. According to the National Association of Realtors, an investment property should produce a 6 to 8 percent return. This means monthly rental income should cover an investor’s mortgage payment, property expenses (insurance, taxes, and maintenance), and operating expenses (utilities, software, or supplies), leaving an investor with at least 6 to 8 percent left over as profit. Part of this equation is putting money away in a reserve fund. A reserve fund is used to cover maintenance expenses and vacancy. A reserve fund is also required by banks if you ever need to finance the purchase of another rental property down the road. Building up a reserve fund takes time. It is suggested that a landlord take a portion of the rental income each month and set it aside in a reserve fund. After a while this fund will grow and have a substantial balance, leaving you with more rental income that you can categorize as profits. But keep in mind, major maintenance, like replacing a roof, will significantly deplete this reserve fund and you will need to siphon off a portion of the rental income once more. JWB Real Estate Capital makes an excellent point about considering all types of unexpected property expenses that might affect your reserve fund, Things like changing insurance companies could require you to get a home inspection. It could be hundreds of dollars for a home inspection plus the cost of a new insurance premium. Quarterly expenses for pest control inspections and prevention is an added expense that is totally separate from repairs. Playing it safe and planning for how much rental income to holdback for maintenance and repairs will let you enjoy more of your investment property cash flow. It is important for a new landlord to truly understand the numbers when it comes to determining the profitability of a rental property. Not every property needs to be profitable immediately, as long as you plan your expenses accordingly and prepare for the unexpected. Being a new landlord can certainly have its challenges, but it’s easy to see that successful landlords leverage their skills and all the resources available to them. Network with industry experts or join a landlord association to ensure that you’re keeping up with ever-changing rules and regulations and budget for your reserve fund. Once you feel you have this landlord thing down? Don’t forget to offer your wisdom and share your experiences, so you can help the next first-timer avoid the most common new landlord mistakes.